In the United States, the album was issued with a slightly different track listing, with "Happy Xmas (War Is Over)" and "Stand By Me" excluded. In 1989, after EMI acquired the rights to the "Double Fantasy" material, "The John Lennon Collection" was remastered and reissued worldwide with two bonus tracks for its CD release, "Move Over Ms. L" and "Cold Turkey". 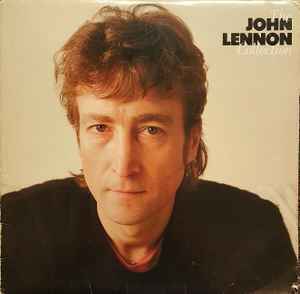 In the U.S., the 1989 CD re-issue of The John Lennon Collection not only included the two bonus tracks but also the two songs originally excluded from the U.S. release, "Happy Xmas (War Is Over)" and "Stand By Me", thereby making the track-listing now identical in both countries. As Lennon's first posthumous release, "The John Lennon Collection" reached #1 in the UK and peaked at #33 in the US where it would eventually reach triple platinum. The front and back covers for "The John Lennon Collection" were taken by famed photographer Annie Leibovitz on December 8, 1980, the day Lennon was murdered. After leaving The Beatles threw John Lennon all artistic brakes loose and thoroughly explored his muse. Lennon chased his demons after and propagated at the same time a utopian vision of the future of the world. He used everything from ' primal screams ' (a controversial therapy form) and minimal hard rock to fifties rock & roll and plaintive ballads. Five years after he had withdrawn from the spotlight, a period in which he is fully dedicated to the education of his son Sean, he came back with strong double album Double Fantasy, a collaboration with his trusty creative and life partner Yoko Ono. Lennons renewed impetus was, shortly after the release of the album, on a tragic way silenced by the bullets of an insane killer. Same record, but with catalog LEMT-1101 exists as a Mexican pressing. I red carefully everything about this record - and I do have this release of this record - BUT - on the cover of the album there are 2 more songs listed, than at the album itself. Side A of my peace ends with Mind Games - Love and Happy X-Mas is missing, although it is listed. Maybe a misprint, which is a jewel for collectors ? I am sure, that - as it is the normal behaviour within this network - nobody believes me, and I will be spammed with mails from admins, who teaches me to learn the usage of the software, before posting. But I know, what I see - and I still haven't lost my faith, that Discogs is not only a community of smart-alecky IT-nerds, but of Music lovers. John Lennon in my opinion is the greatest songwriter/artist ever. This compilation CD features a couple of his greatest hits over the years. I must add to that it is impossible to capture the magic of Lennon's music on just one CD compilation. Two of his most legendary tracks (songwrting wise) have to be 'God' and 'Working Class Hero' but they were not chosen to be on this CD. That is a shame. But I must say, the CD is a good way to make a start with listening to John Lennon music. As a little boy I was a big fan of this CD because my parents would play it alot. Now years later, I'm a big Lennon fan. So I recommend this CD to people who are not very familiar with his music.